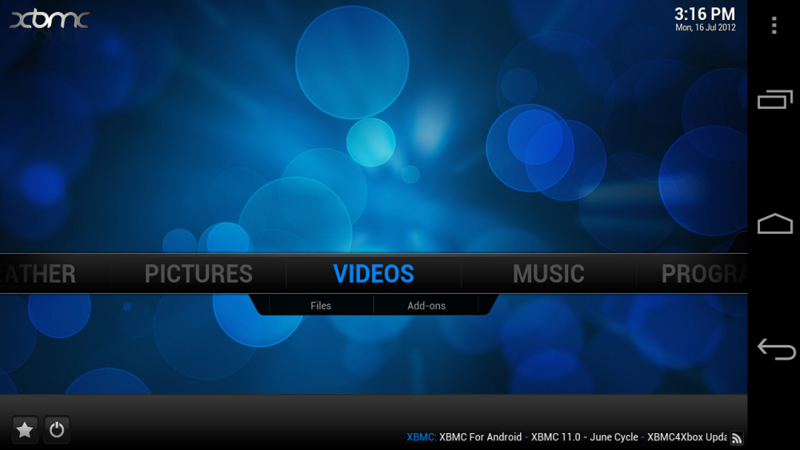 XBMC is a widely popular media center that is available for Linux, Mac, and Windows users. The good news for Android device owners is that it will soon be made available to us as well. Once installed on Android, users can access all of their on-device media files including music, video and photos, but also download from a large assortment of content add-ons that can be viewed while on a WiFi or data connection. For example, there is a working plugin for the website Funny or Die which seems to work quite well even on the test build. The developers posted an official teaser video which has since been made private. Here’s a little hands on from a community member with an early test build. Feel like trying it yourself? You can download the test build right here. The app has not yet been optimized for smaller screens, but where there is a will, there is a way. In other news, the apk has been ported to even the Nexus Q and it looks to work well. Praise Android developers. Cheers Bharath, Nick, Elementix, and Luke!